Fancy something a little different? 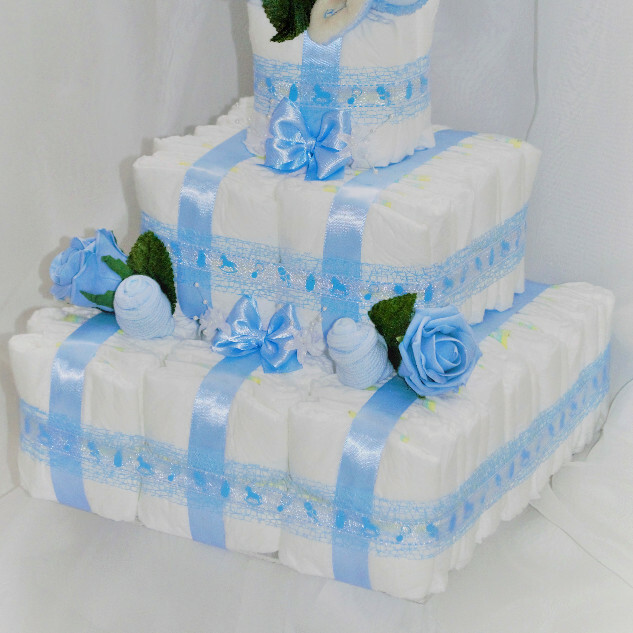 Why not go for our\nbeautiful square nappy cake. With no blankets to hide the nappies away, we've gone\nfor an almost completely white nappy. 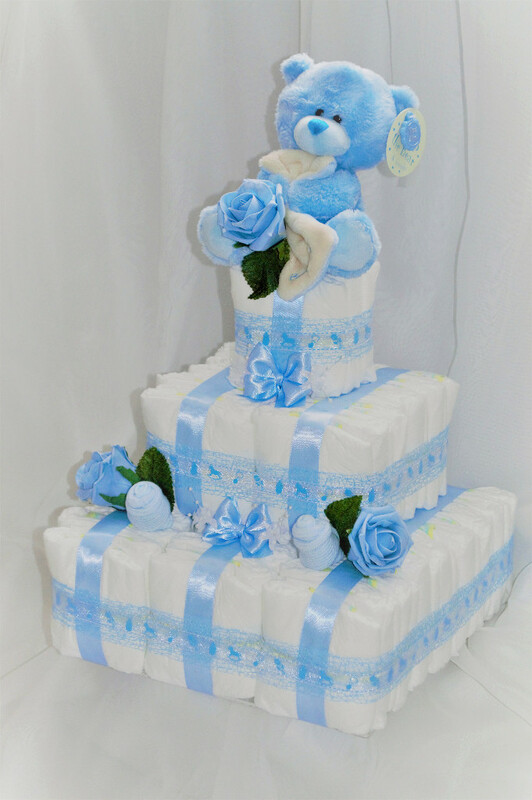 With a gorgeous soft blue bear, sock\nroses, decorative flowers and blue ribbons this cake is sure to wow its\nrecipient. Fancy something a little different? Why not go for our beautiful square nappy cake. With no blankets to hide the nappies away, we've gone for an almost completely white nappy. 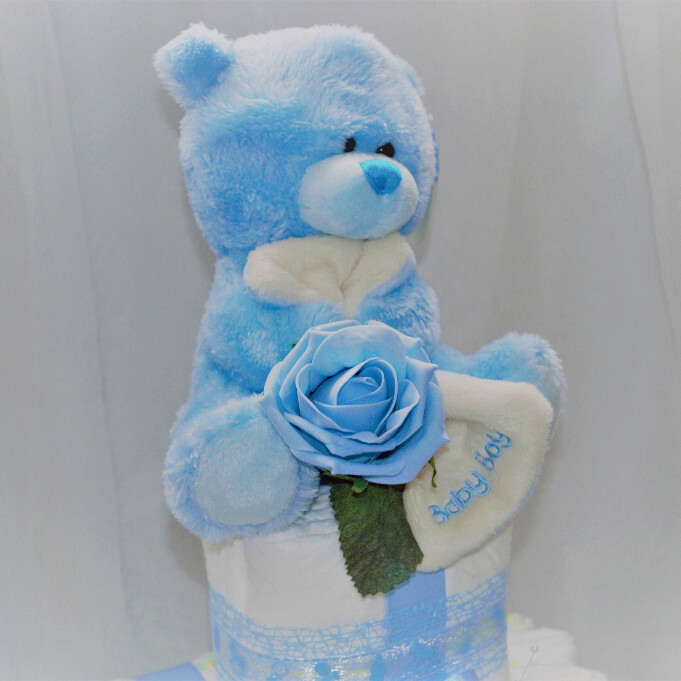 With a gorgeous soft blue bear, sock roses, decorative flowers and blue ribbons this cake is sure to wow its recipient.